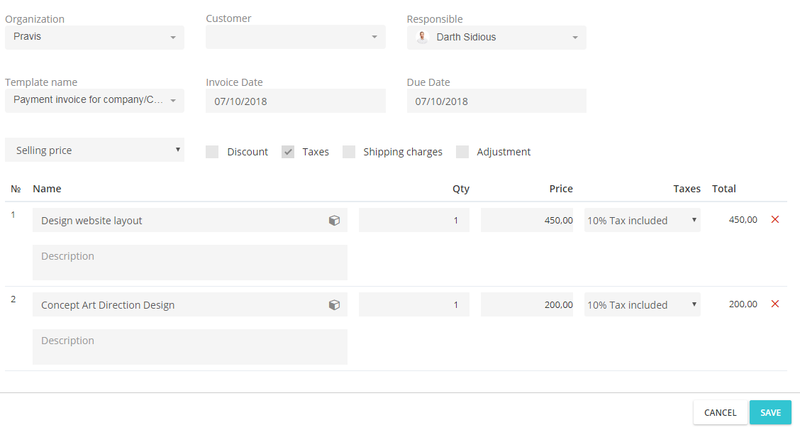 How to create invoice templates? If in your work you issue many standard invoices, with the same positions, then Flowlu can make your life easy. 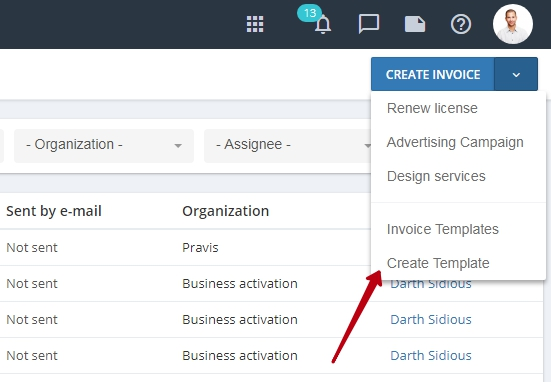 You can create a template and issue invoices within 20-30 seconds. Templates can only be created by the administrators of the Finance app. However, all users of the system who have rights to issue invoices can use these templates. 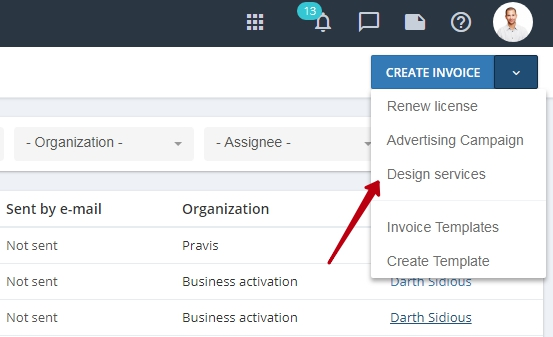 Invoice templates are created in the same way as invoice itself. Go to Finance → Accounts and click the arrow to the right of the Create Account button. In the opened menu, select the Create template option. specify the items, price, discounts. Read more about entering data in the invoice at «Managing invoices». You can create a template invoice from the list of invoices, as well as from Account, Project or Transaction detailed page. All information specified in the invoice template will be automatically generated into the new invoice. Note. When invoice is created from a template, all data can be changed. For example, you can delete unnecessary items, create additional ones, change the amount of provided services and delivered goods, specify individual discounts, etc..